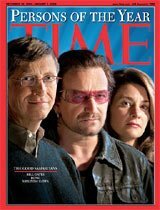 My libertarian socialist sensibilities were both tickled and agitated this week when I learned that Warren Buffett, the world’s second richest man, donated virtually his entire $31 billion fortune to the Gates Foundation. Buffett is known for his philosophical opposition to dynastic wealth, but the donation was also emblematic of his support for what is coming to be regarded as "philanthrocapitalism" – the increasing trend toward entrepreneurial approaches to philanthropy. This latest trend has me both delighted and concerned. I’ve always had a problem with conspicuous money hoarding, and it’s good to see some considerable coin being tabled for humanitarian needs. But at the same time I have to question both the sincerity and the motivation of the so-called philanthrocapitalists. Are they truly working in the best interests of the world’s poor? Or are they merely working to further their own causes and those of other capitalists by creating entirely new targetable consumers? Is this yet another example of how corporatism is increasingly entrenching itself in global society? Perhaps it’s all the above. The question to ask is whether or not the outcome will truly be beneficial for all. Most people acknowledge the problems and limitations of small scale charities. These groups are often resource strapped, idealistic, bureaucratic, and stunningly ineffective. The new supercharities, on the other hand, promise to operate in a way that more closely resembles the corporate world. Prospective donors act as potential investors, looking for high returns in terms of how the donations will benefit recipients. More and more, donations are given only after cost-benefit analyses are performed to ascertain what the gifts might actually accomplish. In this sense, charities resemble capitalist economies in which benefactors become consumers of social investment. Further, as some are quick to point out, the costs of not investing are startlingly high—-and it’s not just the human cost but the fiscal cost as well. Bill Gates calculated that had malaria been wiped out in Africa in the 1960’s its gross domestic product would have been $100 million higher than it is today. Well funded groups like the Gates Foundation can micro-manage every dollar it commits and judge the exact impact of its interventions. What I'm left wondering is, was Gates concerned that people were dying of malaria, or that a potential GDP market of $100 million was left squandered for so long? For those like myself with leftist tendencies, there’s significant potential for concern here. The rise of philanthrocapitalism is essentially for-profit philanthropy. While I’m sure that many of the donors who are “investing” their money in charities are truly doing so with good intentions, it is clearly not an entirely selfless act. The motivations are legitimately suspicious, and one wonders if Gates, Buffett and others are merely trying to open up new markets and new demographics. Hold on -- now am I being all sour grapes, here? Are my concerns symptomatic of my own petit bourgeois complacency and cynicism? Do the motivations and intentions of the benefactors really matter? Sustainability issues aside, if people are healthy, fed, clothed, and sheltered, while also having jobs and things to buy, isn’t that a great and noble achievement unto itself? Well, I suppose it’s a great achievement in a Fukuyamaesque end-of-history sort of way, but it brings to light the unsettling issue of overwhelming global (and even totalitarian-like) corporatism and the withering away of governmental accountability in this domain. Given the proliferation of philanthrocapitalism, one can imagine governments growing increasingly indifferent to spending money on aid. Why bother, after all, when the capitalists are doing such a good job? What a great opportunity to lower taxes and shrink government even further! Unlike philanthrocorporate interests, which are self-serving and subject to cost-benefit analyses, states and their governments – which are supposedly working on behalf of the public interest – are in a special position to gauge the worthiness or urgency of certain causes and broader social interests. While the philanthrocapitalists can arbitrarily choose which humanitarian battles to wage, governments can be better persuaded (ie democratic due process) to enter into those arenas that may seem unpalatable to the capitalists but are worthy and important problems nonetheless. I’m not opposed to supercharities. In fact, I think it’s a remarkable development in the history of philanthropy and the affairs of the obscenely rich. What I’d like to see, however, are strong governments and international bodies who will stand up to the corporatist tsunami and offer a guiding voice. The goal, after all, is to create healthy, happy, and prosperous people – something most people agree is a good thing. The risk, however, is the demise of democratic and participatory values that are replaced by a corporatist world in which all aspects of human existence are shaped by capitalist urges. Tags: philanthrocapitalism, charity, gates foundation, warren buffett, corporatism, capitalism, humanitarianism, philanthrophy, globalization. When did intelligence first emerge in the universe? Here’s a question that has a direct bearing on both the Drake Equation and the Fermi Paradox: When did life first emerge in the universe? More important to the SETI discussion, however, is determining the earliest point at which a radio-capable or Singularity era intelligence could have emerged. My initial suspicion is that the conditions required to support intelligent life have been established for quite some time now – a conclusion that will only reinforce the Fermi quandary rather than diminish it. 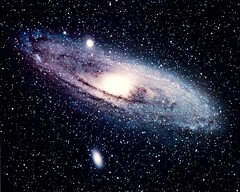 A lot of hand waving goes on when people dismiss the Fermi Paradox. The fact that the universe isn’t already teeming with ETI’s and machine intelligences is more disturbing than most people realize. One such person is Ray Kurzweil who believes that we are the first (or among the very first) intelligences in the universe to approach the Singularity. I find this absurdly improbable, but it’s an hypothesis that I’m willing to entertain. For the sake of this discussion, let’s set aside Ward and Brownlee’s Rare Earth hypothesis and invoke the self-sampling assumption about our conditions here on Earth. We can heretofore assume that the circumstances on Earth are extremely typical in regards to how life emerges and evolves. According to cosmologist Charles Lineweaver's estimates, planets started forming 9.1 billion years ago. Obviously, radio-communicating or pre-Singularity intelligences didn't emerge overnight. So, how long does that take? Using the Earth as an example we can come up with a rough idea. Life on Earth first emerged about 600 million years after its formation (that’s awfully quick – a strike against the Rare Earth hypothesis, I would say). Consequently, given similar conditions in other parts of the universe, I’d say that life could not have arisen any earlier than 8.5Gyr ago. What I’d be interested to know is, in what way, if any, were planets and solar systems different 8.5Gyr ago as compared to those which formed 4.57Gyr ago (which is when the Earth formed)? Would any of those differences negate or retard the processes of life? The next factor to look at is the complexification of life. On Earth, it took RNA/DNA about 3.7Gyr to get to the point where it was able to express complex land dwelling organisms. This is the time when, about 220 million years ago, that dinosaurs emerged. It’s conceivable that hominid-type creatures and their attendant civilizations could have emerged around this time instead of super-predator dinosaurs. Let's work with this assumption. Now, I suppose we should account for the mass extinction events that characterized the early phases of Earth. Given the short period of time in which it’s taken Homo sapiens to emerge from beast to virtual cyborg (less than 2 million years), it’s safe to say that the high frequency of mass extinctions wouldn’t have been a factor. That said, NEO impacts and other mass extinction events have been the cause of drastic evolutionary re-starts, but have decreased in frequency over the course of our solar system’s history. The solar system is stabilizing. A fair question to ask is, were mass extinction events necessary for the emergence of intelligence life, and if so, why? Given the length of time required to go from the ignition of life through to complex life, the earliest that civilizations could have emerged on Earth is 220 million years ago. I'm going to conclude that natural selection requires 3.7Gyr before it can express creatures that are morphologically sophisticated enough to resemble humans. As an interesting aside, that doesn’t necessarily suggest that organisms could have evolved the cognitive capacity of humans at that time. For all we know, the mammalian brain requires the 200 million years of evolution and accumulated/refined DNA data to get to the sophistication it has today. I’ll admit, however, that that’s a stretch; time-to-evolve is not a fixed rate and is largely dictated by the severity of environmental stressors. Using the 3.7Gyr metric, the earliest that complex humanoid life could have emerged in our universe is 4.72Gyr ago. That figure does not negate the Fermi Paradox. Given the potential emergence of intelligent life in our galaxy around that time, and given Fermi’s estimate that an ETI could colonize the galaxy within 10 million years, our galaxy could have been colonized nearly 500 times over by now. Let’s try to whittle the figure down even further. Assuming that an advanced civ could have emerged on earth 220 million years ago, what would they have used to fuel their industrial revolution? Working under the assumption that fossil fuels are a necessary prerequisite for an industrial revolution to occur, how many years of accumulated biomass is required? By the same token, how much biomass is required to get to the Singularity? Today, considering the threat of peak oil, we don’t know the answer to that question ourselves. We know that human civilization had enough to get to an industrialized phase of existence, but we don't actually know if we have enough energy to get to the Singularity (although I'm inclined to believe that we do). Let’s assume here, however, that we have enough energy to make it. Vast forests of clubmosses (lycopods), horsetails, and tree ferns started to cover the land 300 million years ago – biomass that decayed and eventually formed coal and oil. Let’s use that as our metric for the time required to establish energy needs. That knocks our figure of 3.7Gyr down to 3.4Gyr – barely a dent. I’m making an assumption, here – that the presence of oil and coal are a necessary condition for the emerge of radio-capable and pre-Singularity intelligences. I remember getting into a discussion with Eliezer Yudkowsky about this a number of years ago who begged to differ. He essentially claimed that 'where there’s a will there’s a way,' particularly given long enough time frames (I think he used the example of solar power). I’m still unconvinced and would argue that fossil fuels are absolutely necessary. I'm going to use that in our calculation to push back the emergence of complex civs in the universe from 4.72Gyr ago to 4.42Gyr ago. There are undoubtedly a plethora of factors I’m either omitting or exaggerating. The exact conditions required for the emergence of human-like intelligences may be more complex than it appears, and the universe may only be intelliphillic at this unique time (a violation of the Copernican Principle, I know, but one that should be considered; is the universe entering a phase transition?). So, it’s conceivable that Singularities and outward galactic expansions could have happened as long as 4.42 billion years ago. This is still an immense amount of time, keeping the Fermi problem deeply relevant. Tags: SETI, fermi paradox, drake equation, origin of life, astrobiology, astrosociobiology, cosmology, life on other planets, singularity. In late July I will be attending the World Future Society's annual conference which is going to be held at the Sheraton Centre in Toronto. The theme for this year's conference is "Creating Global Strategies for Humanity's Future." Featured speakers include Ray Kurzweil, Joel Garreau, Walter Truett Anderson, and many others. I, along with Simon Smith (editor of Betterhumans and VP of the Toronto Transhumanist Association), will be manning the table for the World Transhumanist Association and the TTA. Please drop by and say hello if you're going to be there. Go here for more information about the conference. Okay, time to call it a night; my mind now resembles a bowl of pudding. After returning from Stanford and receiving a ton of feedback about my presentation on animal uplift, I decided to seriously revise my paper. I've significantly revamped it and tightened my line of argumentation. Once complete, it will be published by the IEET along with other papers that were presented at the HETHR conference. I'd like to see it get published elsewhere as well. 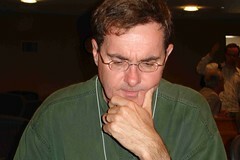 As the potential for enhancement technologies migrates from the theoretical to the practical, a difficult and important decision will be imposed upon human civilization, namely the issue as to whether or not we are morally obligated to biologically enhance nonhuman animals and integrate them into human and posthuman society. Precedents for intra-species cultural uplift abound in human history, providing both sobering and edifying episodes showcasing the possibilities for the instigated and accelerated advancement of technologically delayed societies. As a number of scientists, philosophers and futurists have recently argued, there is mounting evidence in support of the suggestion that these historical episodes are symptomatic of a larger developmental trend, namely the inexorable and steady advancement of intelligence. Civilizational progress necessarily implies increasing levels of organization and refinement across all realms of activity. Consequently, the status of nonhuman species and the biosphere will eventually come under the purview of guided intelligence rather than autonomous processes. That said, a developmental tendency towards uplift does not imply that it is good or right; more properly, it can be argued that uplift scenarios do in fact carry moral currency. Through the application of Rawlsian moral frameworks, and in consideration of the acknowledgement of legally recognized nonhuman persons, it can be shown that the existence of uplift biotechnologies will represent a new primary good and will thus necessitate the inclusion of highly sapient nonhumans into what has traditionally been regarded as human society. In addition to issues of distributive justice, the Rawlsian notion of original position can be used to answer the question of whether or not there is consent to uplift. Finally, it will be shown that the presence of uplift biotechnologies in the absence of the legal recognition of nonhuman persons and a mandate for responsible uplifting will ultimately lead to abuse, adding another important consideration to the uplift imperative. A couple of weeks ago I was walking with Aubrey de Grey in picturesque Palo Alto when I asked him what the latest word was on Technology Review’s SENS challenge. He looked at me quite seriously and said, “The first three submissions will be presented in just two days.” I asked him if he was worried, and he responded by noting that he was pleased with the selection of judges – a panel that includes Rodney Brooks and Craig Venter, among others. If I was to read into de Grey’s answer, he was suggesting a certain degree of confidence in not just the integrity of SENS, but also in the judges’ ability to satisfactorily assess the nature of the contest. For those who are a) interested in radical life extension and are b) living in a cave, Technology Review editor Jason Pontin offered a challenge last year to anyone who can demonstrably show that de Grey’s Strategies for the Engineering of Negligible Senescence “is so wrong as to be unworthy of learned debate.” Should a winner be declared, they would be the recipient of a US$20,000 prize. A group of judges was recently assembled to assess the entries and the first 3 challenges are now up for review. I’ve read through the arguments, rebuttals and counter responses and have a number of things to say. First, regardless of the outcome, it is extremely important that both de Grey and SENS be put under this kind of scrutiny -- even if the contest is a tad sensationalistic. If de Grey is guilty of propagandizing pseudoscientific beliefs and establishing a cultish personality around himself – and I am not suggesting that he is – it is important that this be considered and brought to the public’s attention. More importantly, however, the ad hominem that has in no small way characterized this contest has similarly got to be fleshed out and exposed; as Reason aptly pointed out in his Fight Aging review, “SENS is not de Grey.” This heated debate has brought out the worst in all parties as far as I’m concerned. Indeed, cutting through all the noise to get at the substance has been difficult. The submission by Estep et al, for example, was thin on content and never short on criticisms of de Grey. At one point the authors compared de Grey’s ‘delusions’ to those of Lysenko’s and Velikovsky’s. Can microbial hydrolases be used to degrade intracellular aggregates that accumulate with age? How viable is mitochondrial engineering? Is SENS a strategy against symptoms rather than cures? Are there informational limits to the brain? Can the brain be reprogrammed for extreme longevity? Will medical science be able to keep up with all the unforseen problems of aging? Open issues such as these are not just the concern of de Grey and his detractors, but also of speculative biologists, gerontologists, neurologists, and other scientists. Today, it’s not uncommon to see conferences, dissertations, and experiments directly addressing these various biological and medical issues. Which brings up a very interesting point. By virtue of Technology Review’s SENS Challenge, and in consideration of the various arguments and counter-arguments, is this not already “learned debate?” Isn’t this very contest a blatant demonstration that the experts are in fact already debating the inner aspects of SENS? What kind of farce is this? Perhaps I’m being facetious; I do realize, after all, that the contest is an attempt to exorcise SENS from scientific credibility. But at what point is it acceptable for scientists to denigrate opposing viewpoints by banishing their opponents and their ideas outright? Just what, exactly, is the intention of the contest organizers? Do they want to see de Grey disappear from the scene? Do they want all this anti-aging mumbo-jumbo to stop? I'm reminded how bitter rivalries are the stuff of science. A quick roll-call includes Darwin v. Owen, Gould v Mayr, Haldane v. Mayr, Dawkins v. Gould, and Margulis v Dawkins. This whole contest, it would seem, appears to be a rather bizarre forum for the peer review of SENS – or a desperate attempt to prevent de Grey from actually getting the chance for more formal peer review and, by virtue, increased academic credibility. 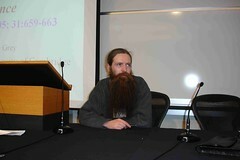 Or, more simply, this contest is just a personal battle between Jason Pontin and Aubrey de Grey. Ah, but let’s face it – it’s likely just a silly publicity stunt that will ultimately benefit Technology Review, the panel of judges, and Aubrey de Grey himself regardless of the outcome. So, what will the judges decide? Is SENS truly unworthy of learned debate (excluding the very exercise of debating it for the purpose of the contest :-P). Well, there’s a better than excellent chance that SENS in its current incarnation is absolutely wrong. It’s very possible that the judges will concur with this possibility and rule against de Grey. What would be absurd, however, would be a declaration that the war against aging itself is an idea unworthy of debate. To all you de Grey groupies on the edge of your seats in anticipation of The Big Decision, it's time to take a chill pill and a deep breath. The outcome of this contest will have no bearing on the work to come against the ravages of aging. A ruling by the judges against de Grey would have no bearing on anti-aging research, and would at worst cause de Grey to have to revise his strategy (or his approach). But he needs to do this anyway as SENS should at no time be considered a static document. Twenty years from now we may laugh at the naiveté of SENS, but I highly doubt we’ll laugh at the maturation of real anti-aging interventions that will have sprung from this seed of an idea. When all is said and done (whatever that means), it may be that de Grey will have had very little to contribute to bona fide anti-aging advances (although I doubt that). De Grey will not cure aging by himself and any assertion that he will is patently ridiculous. The war against aging will be a concerted and protracted effort that will in all likelihood take many decades, numerous researchers and vast resources. Further, the efforts to halt the aging process will be the result of converging therapeutic interventions that will address aging related pathologies on an individualized basis. While an all-reaching overview like SENS is laudable and even practical, it will still come down to the specialists working on their focused aging related problems. While de Grey may not be in the trenches, what’s undeniable is his work as an anti-aging pioneer who’s blazing an inspirational trail for future gerontologists. And cancer researchers. And neurologists. And anyone else who considers an aging related problem to be potentially solvable. De Grey is an archetype in the making. So, my pre-interpretation of the judge’s decision should they vote against SENS is that they will likely take issue with the inner working of SENS and de Grey’s methodology. And as I said, on this point they may be right – an outcome that may cause de Grey to go back to the drawing board to come up with SENS 2.0. If they declare, however, that speculations into anti-aging interventions per se are “beyond learned debate,” then they will have made a significant judgemental error. If, on the other hand, the judges vote in favour of SENS, it would represent a clear victory for those who continually push the boundaries of science into uncharted and controversial areas. It’s artist as scientist, drawing outside the lines to conceive of new possibilities and charting all the terra incognita. Perhaps this is why de Grey is happy with the current set of judges; like himself, the panel is filled with visionaries and big thinkers. But is this more philosophy than science? Indeed, a part of me thinks that de Grey is more philosopher than anything else, but I also realize that philosophers ain’t what they used to be. Take Daniel Dennett, for example – a new breed of thinker who is equal parts philosopher and scientist. It’s a fair question to ask, at what point does philosophy graduate to science? Is SENS already at the stage where it’s a testable, refutable strategy? How about Eric Drexler’s projections for molecular assembling nanotechnology? Is that also outside the boundaries of learned debate? What about theoretical physics and quantum mechanics? Do these questions even matter in the context of deciding whose ideas deserve 'learned debate' and those whose don’t? There’s no question that de Grey’s strategy is out there. It's dependant on vapourware, broad extrapolations, and several leaps of faith. At the same time I can accept the fact that his timelines may be overly optimistic, his interventions incomplete, and that he may be underestimating the complexities of aging. But longer timescales, incompleteness and complexity do not imply intractability – and this is what de Grey’s detractors have failed to comprehend. I think it’s obvious that de Grey is on to something. Tags: strategies for engineered negligible senescence, Aubrey de Grey, life extension, rejuvenative medicine, SENS challenge, Methuselah mouse prize. I like this poem by Charles Bukowski called, "having the flu and with nothing else to do." this seems to happen all too often. it's a kind of lifelong mental vapor-lock. 16,220 laundrykeepers, washers, and manglers. 13,103 private messengers and errand boys. 11,507 painters, plumbers, and glaziers. 7,151 silk manufacturers, (all branches). 5,499 booksellers, bookbinders, and publishers. 4,861 tavernkeepers, publicans, and victuallers. Jobs come and go. Entire industries come and go. And the sentiments and politics surrounding these rapid changes struggle to keep up. People try to fight the fact that demand for certain jobs disappear over time. Political parties, such as the NDP in Canada, struggle to remain relevant in an increasingly post-industrial world. But is the quality of jobs improving? For the most part, yes, as jobs are less physically demanding and dangerous than they have been in the past. Where there might be a problem is in how desk jobs are mind-numbingingly repetitive and physically un-demanding. I don't think the human body fares very well in such sedentary conditions. No wonder coffee is so popular at the workplace; I for one am dependant on its stimulant properties. With accelerating change in effect, it should be interesting to see the fleeting nature of certain jobs and industries in the coming decades. Dale Carrico's retort to Saletan: With Enemies Like Saletan Who Needs Friends? 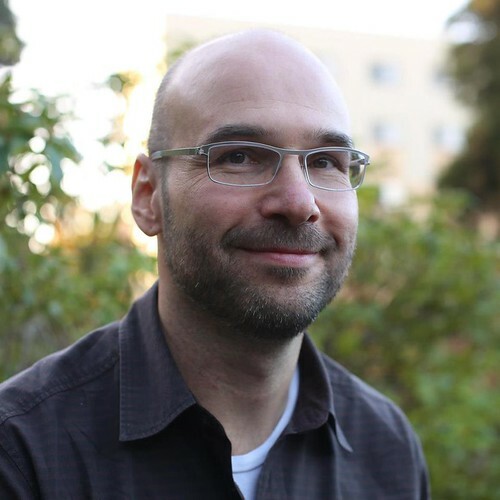 Introduction, Part I, Part II, Part III, Part IV, & Part V.
This past weekend I had the opportunity to attend and speak at the Human Enhancement Technologies and Human Rights (HETHR) conference at Stanford University in Palo Alto, California. 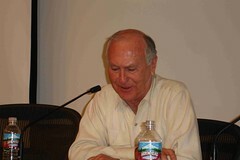 The conference, which was sponsored by the Institute for Ethics and Emerging Technologies (IEET), the Center for Cognitive Liberty and Ethics (CCLE), and the Stanford Law School (SLC), brought together a diverse array of thinkers who spent the weekend ruminating over the challenging issues surrounding human enhancement. The central focus of the conference was to construct a case for human enhancement based upon the lofty principles of human rights, liberalism and bodily autonomy. The event was in no small way a direct challenge to the burgeoning anti-enhancement camp that has arisen in recent years to combat what is perceived to be a threat to human dignity and humanity itself. Organizers of HETHR hoped that the conference would demonstrate that a viable and compelling case could be made in favour of enhancement. Based on what I heard at the event, I would say it was mission accomplished. First, the caliber and credentials of the speakers was excellent – one of the strongest set of panels and panelists I've yet seen at such a conference. Attendees and speakers came from as far away as Australia and Europe and were comprised of academics, activists, journalists and the curious. And tellingly, the conference crowd was a fair mixture of men and women, young and old, and included some visible minorities – a far cry from the young white male crowd that came to dominate similar events only a few years ago. Second, the arguments and legal frameworks supporting the issue of biotechnological enhancement are most certainly beginning to crystallize and take root. The human enhancement debate is in the process of maturing – a development that will end with the normalization of enhancement discourse in bioethics circles and eventually within society itself. As evident throughout the conference, the ethical and legal frameworks necessary to uphold human rights and enable the responsible development and application of enhancement technologies are very much under construction. Such a conference would have been unlikely only a few years ago. Quite obviously, issues surrounding changes to human reproduction, morphology and cognition are highly contentious -- a swarm of sensitive issues that has thrown traditional left-right politics completely off kilter. As Reason science correspondent Ronald Bailey noted during his presentation, our pending transition to a self-modifying species will be the key political issue of the 21st century. But while the HETHR conference was a definite step forward, it almost never happened. Just prior to the event word got out to the Stanford brass that an enhancement themed conference was to be held at the Law School. They reacted by trying to shut it down. I suspect that the Stanford folk were not only wary of a potential 'crank' factor (the Singularity Summit was similarly unjustly singled out two weeks prior), but of the sensitive subject matter as well. But it was through the diligent and persuasive lobbying of conference organizer Henry Greely, the director of the Stanford Center for Law and the Biosciences, that the conference was allowed to continue. Techprogressives can be thankful that it did, as a cancelled conference would have been a decisive victory for the bioconservative camp. Correction: I've been receiving responses from people involved and it looks like this was never the case. Both the Singularity Summit and HETHR conference, it seems, were never in any real danger of being cancelled, but they both faced tougher than ususal scrutiny. Clearly affected by the hard struggle to keep the conference alive, Greely’s introductory talk was a plea for people to remain open-minded and to respect the freedom of academic discourse no matter how controversial the subject matter might initially appear to be. Once the conference got underway it was obvious that the participants took heed of Greely's words. What followed over the course of the weekend was a spirited and tolerant atmosphere in which attendees did not have to feel shackled by stifling political correctness, established ethical and philosophical conventions, or constraining visions of the future. Moreover, by giving the three key sponsors an equal opportunity to mould the event, HETHR never came to be dominated by any one set of priorities or visions. For example, members of the IEET, a techprogressive think-tank run by bioethicist and HETHR organizer James Hughes, provided the decidedly future-tech perspective. This angle was tempered by the groundedness of the Law School and by the activistic and socially hip work of the CCLE -- a group directed by the charismatic duo of Wrye Sententia and Richard Boire. Consequently, the presentations were in tune with some of the more profound implications of pending GNR technologies (e.g. radically extended lives, AI, virtual persons, animal uplift, etc. ), while intermixed with the practical realities of law, politics and civil rights. The conference, then, was never dominated by the technorapturesque mood that has come to characterize similiar events. 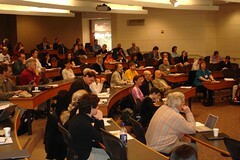 It was truly a conference for ethicists by ethicists – many of whom were openly critical and frustrated with their own departments and with what they have come to perceive as the unrealistic and flawed bioconservative streak that comprises a significant part of mainstream bioethics today. Indeed, the conference itself was an amazing showcase for ethical discourse. 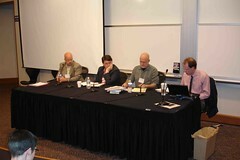 Panelists reached deep into their methodological tool kits to find support for their various cases; names that consistently rang out throughout the conference included Plato, Aristotle, Socrates, Aquinas, Kant, Locke, Rawls and Singer. Key ethical concepts and concerns that were regularly tossed into the fray included issues of egalitarianism, utilitarianism, contractarianism, cultural relativism and even Buddhism and transhumanism. Debates centered around issues of primary versus positional goods, therapy versus enhancement, identity and authenticity, what it means to be 'normal', liberty, justice and human rights itself. Even those ethicists critical of human enhancement, including William Hurlbut and Nigel Cameron, refrained from regressing to tired conservative and religious arguments, instead opting to directly challenge and critique the various pro-enhancement positions; it was dialog rather than shouting, debate rather than hysteria. Among the many highlights of the conference, a poignant moment came during Walter Truett Anderson's presentation. Anderson, a forward thinking enviro-realist, reminded the audience that as we stand at the eve of human enhancement the body is still a system that operates within a larger system. Part of the coming challenge, he argued, is to look at human enhancement in the context of the environment and the planet itself. At the same time, however, Anderson also issued a challenge to traditional environmentalists. Quoting environmentalist pioneer George Perkins Marsh, he noted that "humans change things.” This observation, he said, is very much a part of the human condition. It's a lesson that Anderson believes most environmentalists have yet to learn. In this increasingly networked age, and as the planet becomes progressively wired along with it, environmentalists must realize that humanity cannot enforce a hand's off policy with regards to the planet. Whatever environmental aspect is altered and managed on Earth, it will be the result of our guiding hands. Such changes will be indistinguishable from what we consider to be 'natural' today. Anderson declared that we are poised to deliver the planet into its next phase of evolution. The analogy to human enhancement and our increasing control over the 'human system' was not lost on the audience. Indeed, contrary to what many bioethicists would have, we cannot expect to exert a hand's off policy to the human body. Yes, humans change things. They change the environment. They will change themselves. Like our approach to the environment, the changes that we will make to ourselves will eventually prove to be both desirable and necessary. And like the future of Earth, it will represent the next phase in our own evolution. In the meantime, conferences like HETHR will serve as the sounding boards and springboards to a prosperous, fulfilling and dignified future for all.